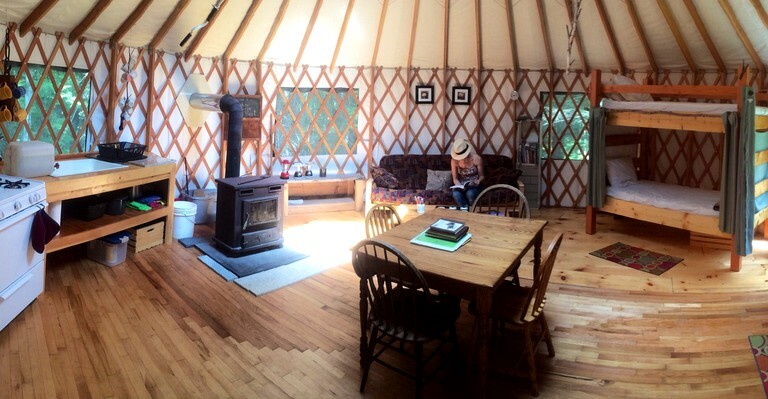 These unique yurts are nestled on 100 acres of sublime land on the banks of Runaround Pond near Portland, Maine, and can accommodate six people each. 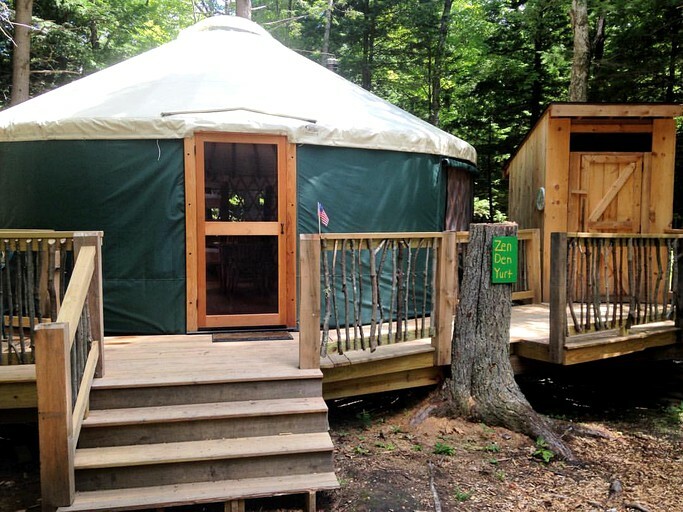 At this glamping site, there are three different yurts available too book and each of them measures 24 feet in diameter. 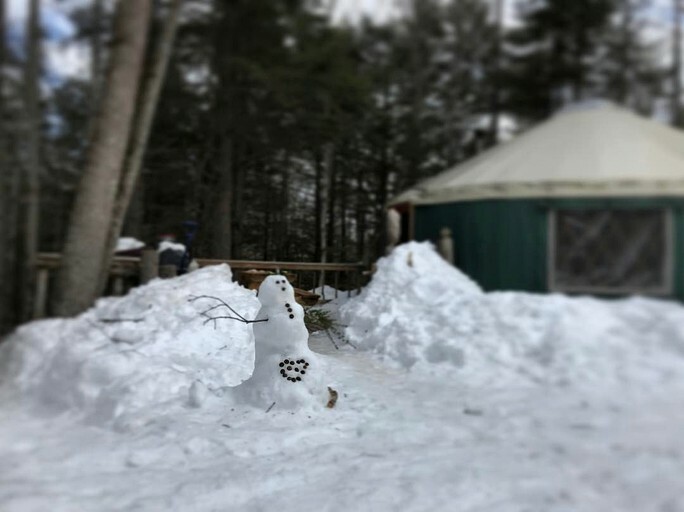 Inside the yurts, there are two bunk beds, six pillows, one futon, a kitchen table with chairs, kitchen amenities such as dishes, cups, glasses, wine glasses, silverware, pots, pans, a cutting board, knives, a coffee pot, and more. 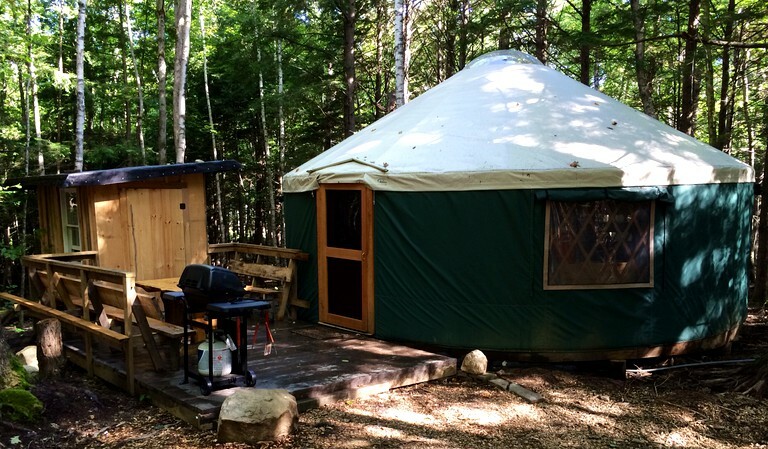 Guests will also find a four-burner gas cooking stove with oven, a lantern, a wood stove with firewood, cards and games, a composting toilet, an outdoor BBQ grill, 10 gallons of utility water, and an outside shower. 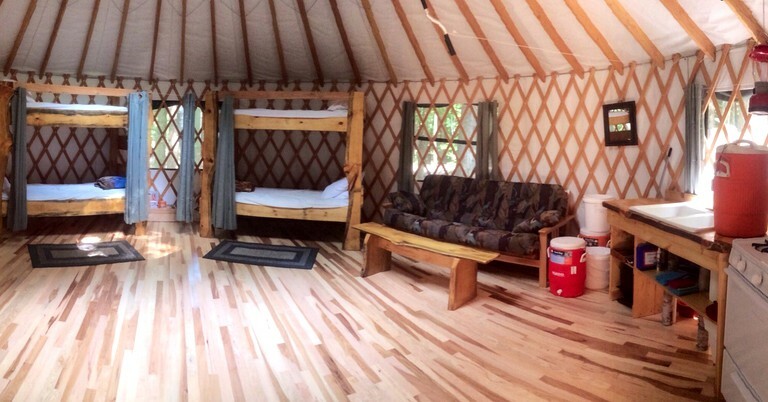 These rentals are equipped with everything glampers will need to relax in style. 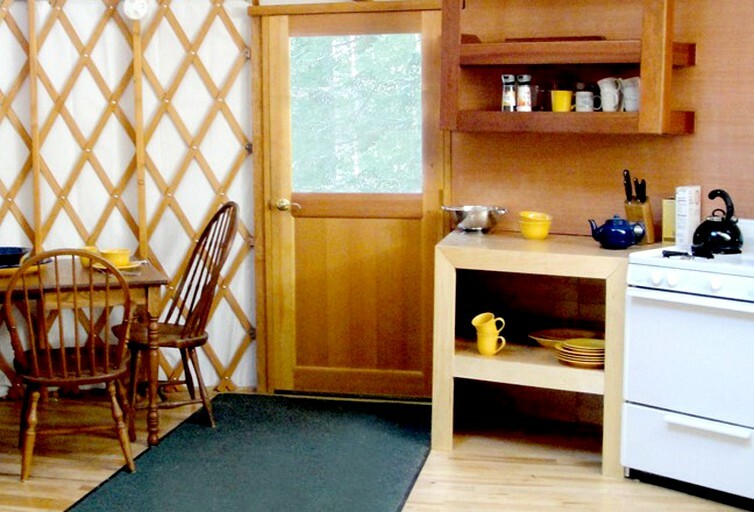 Guests will find all the kitchen equipment needed to cook up a storm in their yurt before dining under the stars. There is also free parking available on-site. 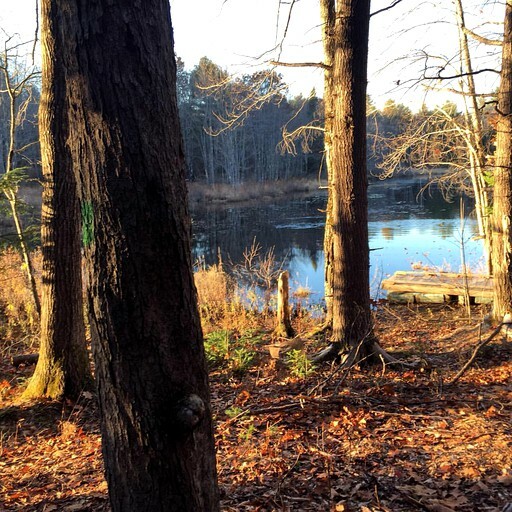 The property is situated on the beautiful Runaround Pond, which has two shallow, river-like tributaries that are about two miles long. 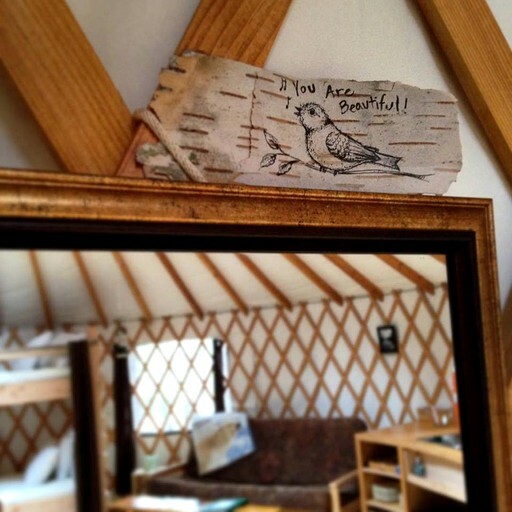 This is a lovely addition to the entire glamping experience, and guests can spend as much time here as they'd like. This property is also suitable for events. Guests should inquire with the hosts. Glampers will be spoiled for choice on how to spend their days here. 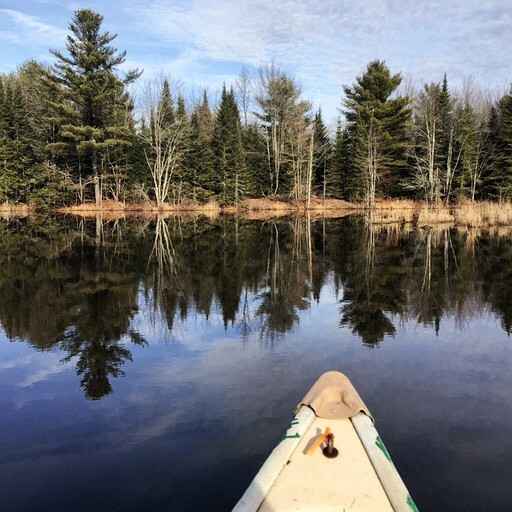 They can enjoy seasonal adventures including kayaking, canoeing, fishing, hiking, wildlife viewing, cross-country skiing, ice skating, snowshoeing, or just sitting back, relaxing, and taking in the tranquil peace of the natural surroundings. 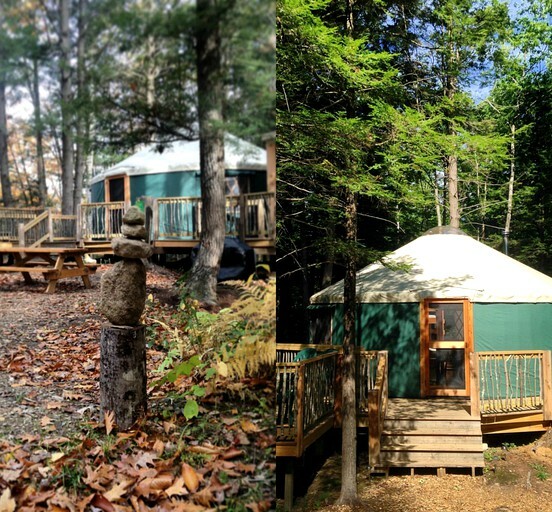 One of the best things to do while staying at this glamping site in Maine is to hike Bradbury Mountain, which is only five minutes from the property. 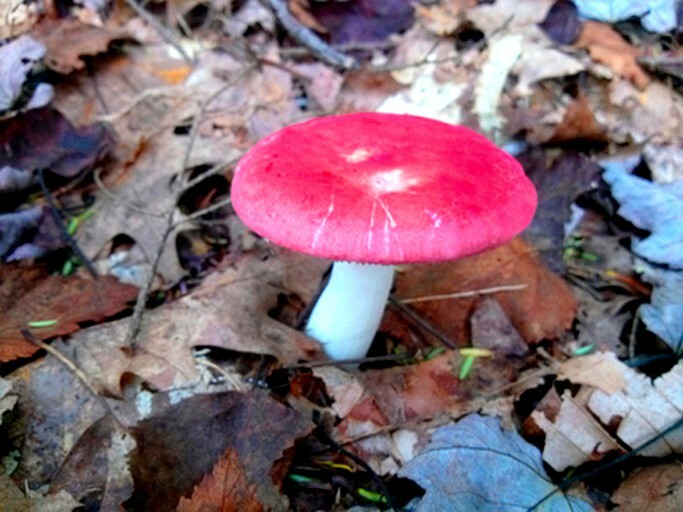 Glampers also have the chance to visit the nearby town of Portland, which is just around 25 miles away from the site. 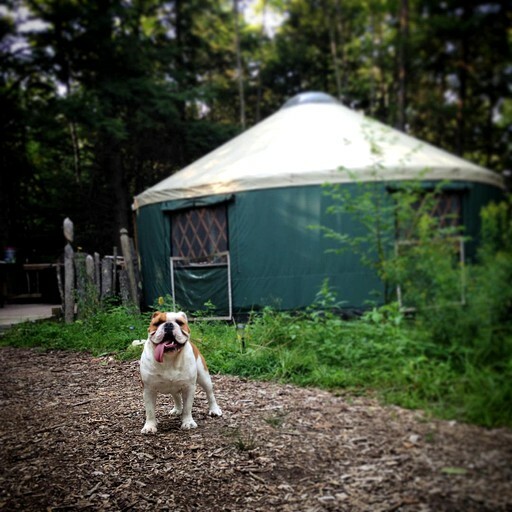 This is a pet-friendly rental in Maine, so four-legged friends are welcome. 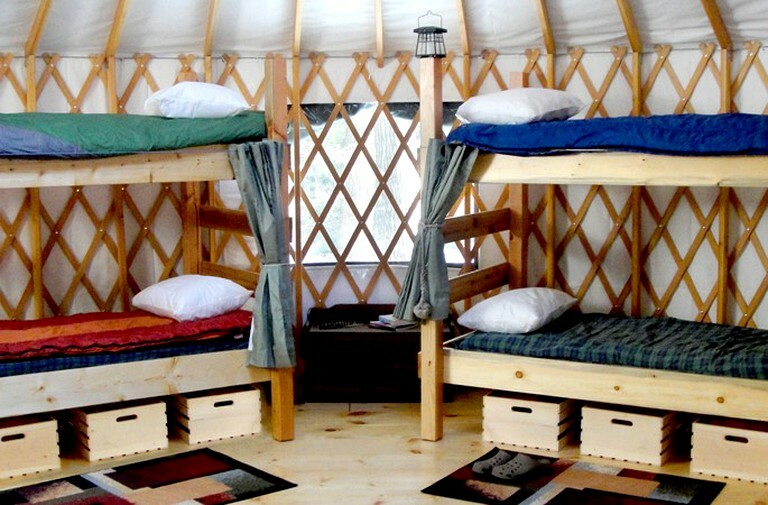 The rates at this glamping site are based on double occupancy. For each additional guest after two, there is a $15 fee per night. Children can stay for free.